William Wilberforce was one of the greatest social reformers in history. 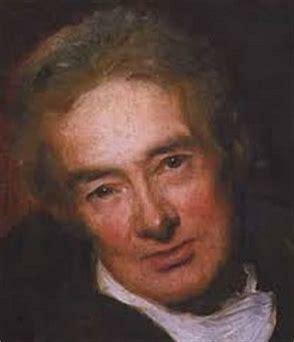 As a prominent member of the British Parliament, Wilberforce fought for the abolition of slavery in the British Empire. Already a member of Parliament, he became a follower of Jesus in 1784; and early in his walk with the God, it became clear to Wilberforce that God was calling him to be an advocate of bringing freedom to hundreds of thousands of slaves living under dire oppression. Now, we might think that, because Wilberforce was a follower of Jesus and had a clear calling from God, his success would’ve been a given; however, history shows us a very different picture. In 1789, Wilberforce introduced anti-slavery resolutions twelve separate times, but all of them failed to even reach a vote to the general assembly. He continued to push forward anti-slavery bills in 1791, 1792, 1793, 1797, 1798, 1799, 1804, and 1805, and each time the bills were defeated. If anyone could understand what Moses was going through in Exodus 5, it would’ve been William Wilberforce. Moses had a relationship with God and an even clearer calling from the LORD to be the leader of this abolitionist movement in Egypt. Thus, Moses boldly goes to Pharaoh and asks for the freedom of God’s people; but instead of victory, he faces failure. Perhaps Moses thought that his calling from God meant immediate victory since, after this initial encounter with Pharaoh and subsequent failure, Moses is distraught, complaining to God that his effort was futile and the circumstances worsened. Like Moses and Wilberforce, futility is something we all experience, especially if we strive do the work God has called us to do. There is that friend we keep on talking to about the same issues repeatedly, or that family member we keep on praying for with no sign of fruit; or it’s those social justice issues we want to see righted in our cities that only seem to get worse. We feel this calling from God to follow Him and do His kingdom work, but there will be times when our efforts feel futile. In those times where our efforts feel futile, we must persevere. But we don’t persevere because we’re stubborn. Nevertheless, we ought to persevere because when we do, we will see and experience the faithful work of God in our lives. In this moment, Moses could only see the failure of that temporary moment. What he could not see was that, as he persevered in what God called him to do, freedom would come to God’s people. It was not immediate, but it was inevitable because God was working through Moses’ work. Let us press on and keep on striving to do the work of God. **Note: Because of Wilberforce’s effort, British Parliament fully abolished slavery in 1833 and he subsequently passaged away 3 days later. Prayer: Jesus, give me faith to trust that You are working through me even when I cannot see it. I pray that You will give me strength to persevere and keep on doing the good work that You have called me to do. Amen. What do we learn about the true nature of kingdom of God from these parables? If we understand that the kingdom of God is like a mustard seed and leaven, how then should we think about setbacks or futility in ministry? For the parable of the mustard seed, Jesus’ emphasis is that the kingdom of God would start in a small and unassuming way since a mustard seed is so incredibly tiny; but over time, it grows and becomes large like a tree. As for the parable of the leaven, it’s important to recognize that leaven works invisibly. It is “hidden” in a large amount of flour and dough, but, even though you cannot see it, over time it grows and expands. Put together, these two parables show us that the kingdom of God often grows in small and hidden ways; sometimes even we, as children of God, cannot recognize the potential of the small acts of faith or discern how the work of the kingdom is having an effect. When we face setbacks or futility, we can easily think that the works of ministry we do are not having an effect. However, if we recognize that the work of the kingdom of God can be small and unassuming, and even hidden at times, we should persevere and trust that God will work through us for his kingdom. It’s easy to get discouraged when it comes to serving God. It may seem like what we’re doing isn’t having any effect. Tonight, pray that God will open your eyes to see what He is doing and ask Him for strength to persevere.